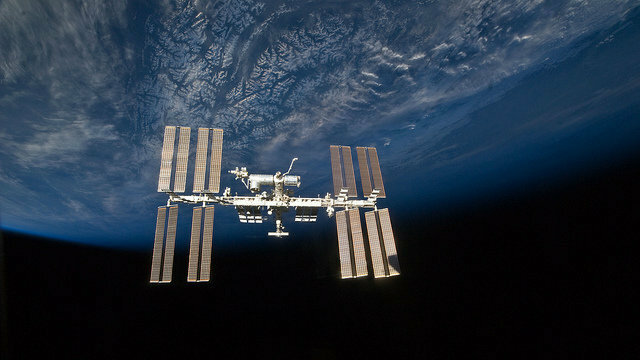 Elevated rates of back pain and disc disease among astronauts who spend a long time in space could be caused by a weakening of muscles that support the spine, according to a UC San Diego School of Medicine study released Tuesday. The study, published in Tuesday’s edition of the journal spine, found no change in spinal disc height in astronauts. “These findings run counter to the current scientific thinking about the effects of microgravity on disc swelling,” said Dr. Douglas Chang, an associate professor of orthopaedic surgery at UCSD. A half-dozen NASA crew members were studied before and after spending four to seven months in microgravity on the International Space Station. Each subject had magnetic resonance imaging scans of their spines before their mission, immediately after their return to Earth and again one to two months later. The goal was to understand factors affecting lumbar spine strength and lower back pain during long-duration spaceflight, as well as the spine’s response after returning to Earth gravity. Back pain is common during prolonged missions, reported by more than half of crew members. Astronauts are also at increased risk of spinal disc herniation in the months after returning from spaceflight — about four times higher than in control groups. Back issues in astronauts are accompanied by a roughly two-inch increase in body height, thought to result from a lack of weight carried by the lower back and other body changes related to microgravity, according to UCSD. The researchers used an image technique that allowed them to estimate lean muscle mass separate from non-lean muscle components. The MRI scans indicated significant weakening of the paraspinal lean muscle mass during the astronauts’ time in space — that’s the small muscles that connect to the vertebrae and direct the motion of individual bones, helping to support and prevent misalignment of the spine and allowing for core movement. The functional, cross-sectional area of the paraspinal muscles decreased by an average of 19 percent from preflight to immediate post-flight scans. A month or two later, only about two-thirds of the reduction had recovered, the scientists said. There was an even more dramatic reduction in the functional cross- sectional area of the paraspinal muscles relative to total paraspinal cross- sectional area. The ratio of lean muscle decreased from 86 percent preflight to 72 percent immediately post-flight. At follow-up, the ratio recovered by 81 percent, but was still less than the preflight value. In contrast, there was no consistent change in the height of the spinal intervertebral discs. The scientists said the findings suggest possible preventative steps to reduce the spinal effects of spaceflight. Core-strengthening exercises recommended for patients with back pain on Earth might be a useful addition to the astronaut exercise training program, Chang said. He also said yoga might be another approach, especially for addressing spinal stiffness and reduced mobility. Further study is needed to determine whether new exercise countermeasures can prevent in-flight paraspinal muscle atrophy, improve spinal pain and function and shorten recovery time, and how such exercise might be performed in a microgravity environment with available exercise equipment, he said. Researchers from Arizona State University and The Ola Grimsby Institute, a San Diego-based orthopedic therapy organization, contributed to the study. Funding, in part, came from NASA, the National Space Biomedical Research Institute and American Physiological Society.